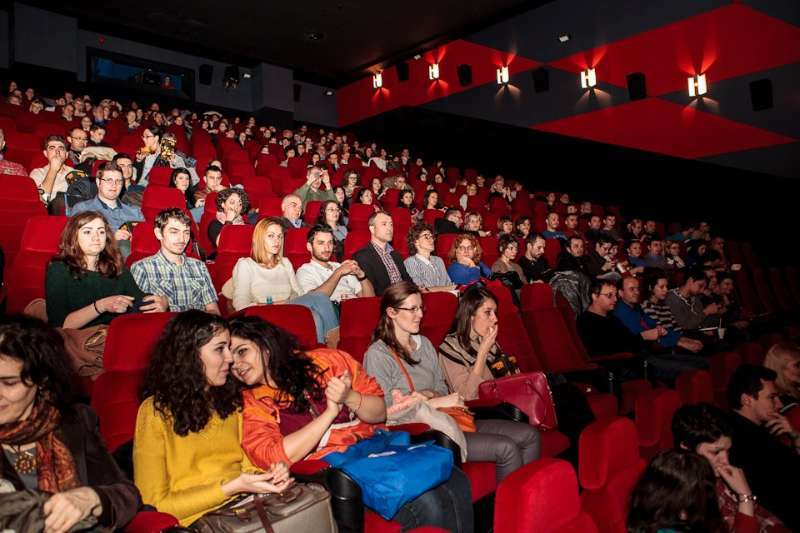 It is appropriate that the European Audiovisual Observatory (EAO) should release its cinema admissions report at the Berlin Film Festival rather than Cannes, because it appeared not to make for sunny or cheerful reading. The headline figure of 4.1 per cent decline for EU cinema attendance and the second lowest attendance since 2000 made news beyond the traditional trade press. So does this spell doom and gloom for European exhibition? A more careful and nuanced reading of the underlying data yields a more mixed picture and even positive sector trends. It should come as no surprise that with Spain mired deep in recession caused by a massive property bubble, spending priorities for tickets to those multiplexes that were part of the over-building problem, were not high on people’s agenda. Cyprus saw an even bigger drop of nearly a quarter (-24.4 per cent), though Greece was surprisingly only down by nine per cent, which is less than Sweden’s -9.6 per cent, despite the Nordic major having weather the Great Recession much better than any southern European country. So why did Sweden do worse than Greece? This statistic shows that it was not so much a bad year for European cinemas as for Euro cinema, ie films made in European countries. Italy’s Sole a catinelle from Medusa earned a staggering $69,903,094, which was nearly three times as much as the second biggest film of the year (Frozen – $26m) earned. It was the lack of a Skyfall-size domestic hit that dragged down UK, while the highest placed French film only came 7th. In Germany Fack Ju Gohte came second the The Hobbit 2 while in Spain the highest place local film was a miserable 16th place for Mama. So don’t blame audiences, instead blame directors, producers and distributors. More than anything, the report served to highlight the differences between what Donald Rumsfeld memorably termed Old Europe (West) and New Europe (Central and East). It was in New Europe that, with the significant exception of Poland, it was a story of growth that transcended the popularity of local productions – though these helped. This fact was reflected in local news headlines related to the EAO report, such as ‘Turkish people break movie attendance record‘ and ‘Romania sees 13.8% jump in cinema admissions, second highest increase in Europe‘. Bulgaria saw the highest increase in admissions(+16.7 percent) followed by Romania and then Lithuania (+6.8 percent). The narrow focus on the 28 EU countries mean that the EAO overlooked the 23m ADDITIONAL year-on-year tickets sold in Russia and Turkey alone, which is roughly the TOTAL ticket sales of the nine smallest EU members put together. Looked at another way, the decline of 39m tickets in EU and related 4.1 per cent drop would have been less than half that if EAO had done what the Eurovision Song Contest always does, which is to include Russia and Turkey in the official count. Or put another way, growth in Turkey and Russia was enough to offset decline in France, Germany and UK. Again, local films helped to make a big difference, with the monumental impact of Russia’s Stalingrad, and, as Screen noted, “Turkish films taking a record share of 58% of total admissions in 2013, a level unparalleled in any other European market in the past few decades.” New multiplexes + popular local films = unbeatable formula for growth. The biggest story of the EAO report should have been Russia replacing the UK as Europe’s second largest cinema market (after France). This is no less of a milestone than China replacing Japan as the world’s second largest economy. Particularly as this was not a one-off but confirmation of an on-going trend that could see Russia overtaking France within a year, if the current trend continue. Discussions about the outlook for cineagoing in (western) Europe tends to fall into three categories: ‘temporary blip’, ‘secular decline’ or ‘death spiral’. The first of these is true when we look at the absence of local hits in four of the five major EU markets in the past year. The ‘secular’ or longer term decline is more uncertain. There seems to be a general downward trend since 2009, though this does coincide with the start of the economic downturn and the upswing in 3D that saw exhibitors trying to compensate for fewer tickets sold by increasing the prices and extracting more money from concessions, advertising, 3D and event cinema. With multiplex building slowing in western Europe, it is likely that ticket price inflation will also slow. The death spiral will largely be avoided, but demographics change will see cinemas having to re-focus their proposition (and producers the films that get made) for an older audience that help prop up cinemas between the blockbusters that pull in the younger demographics. Above all there is a re-alignment that sees the balance tilt firmly to the east. This has been demonstrated by major UK/European chains such as Odeon-UCI, Cineworld and Vue buying or merging with multiplex chains in Central and Eastern Europe. If I was Pathe or Kinepolis, I would be looking at what cinema chain in Turkey or Ukraine would be most open to a takeover. That is the real lesson of the EAO report.